What is Location & Hours? The locations bar appears at the bottom of your homepage. 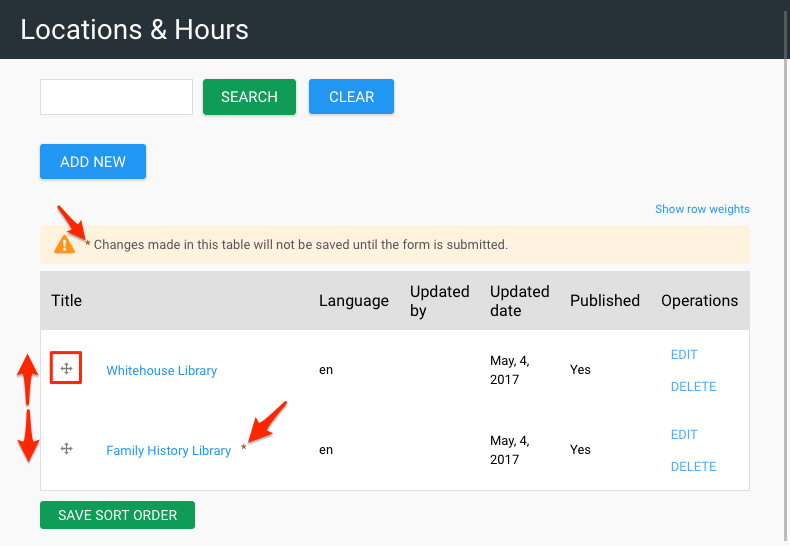 You can list locations and hours for one or many locations, with optional Google Places integration, details and maps. This may include the main location, separate branches, rooms and spaces within locations, etc. 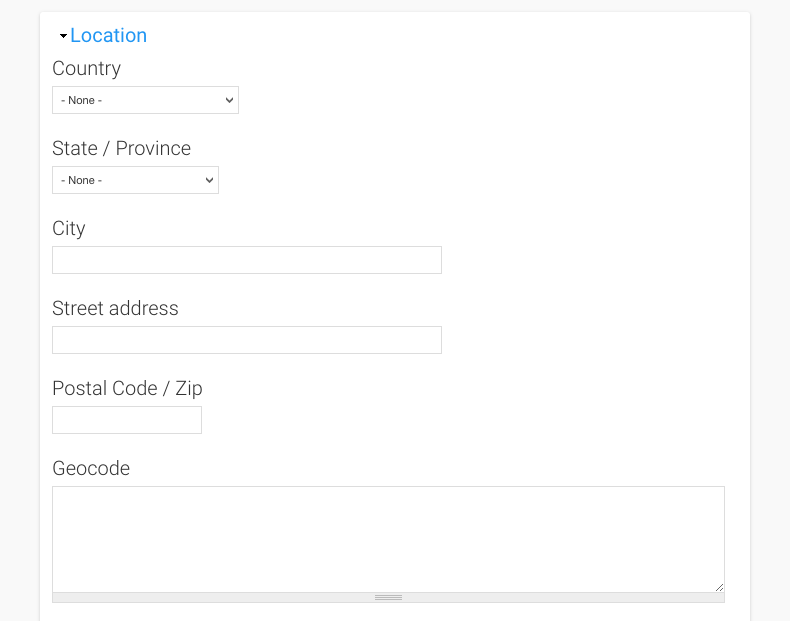 You can also configure the Location modal that appears in the Header of your site. This will list today's hours for your patrons. You can change the order of the location tabs on your homepage. Regardless of how many locations you have. Click and drag the icon corresponding to the location you want to move and drag it up or down the list. 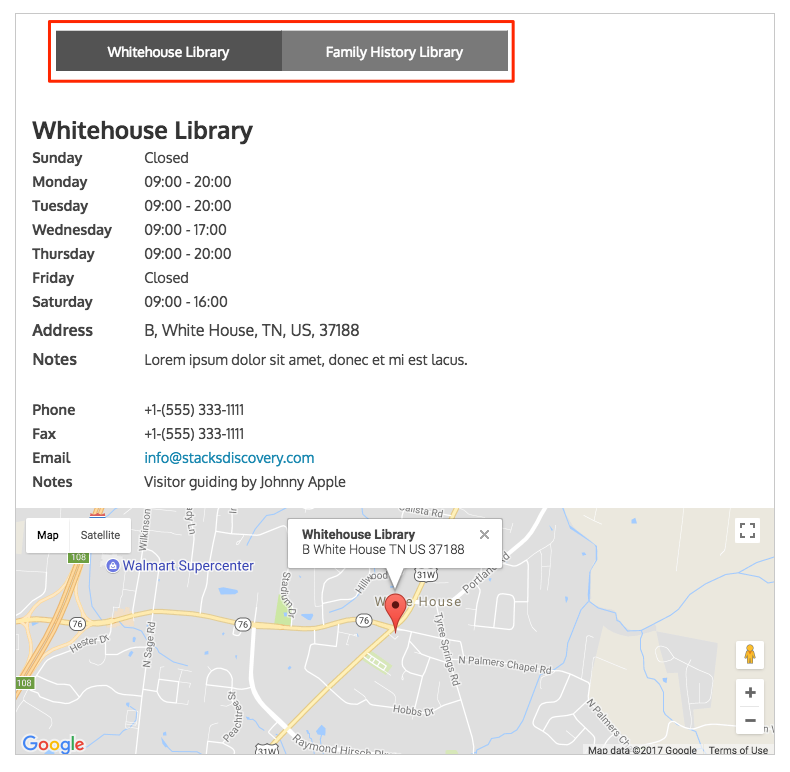 NOTE - If you've integrated your Google Maps API and your Google Business listing includes the location's address, it will now appear as an 'Info Window' above the map marker for that location.